Thank you to everyone who made the nerve-wracking drive to Waukesha in the snow storm on Saturday. It was worth it. The team did very well overall and brought home 5 medals in four events, including a Bronze Medal and four Top-Eight medals. We also had 9 fencers finish in the Top 16 in their events. 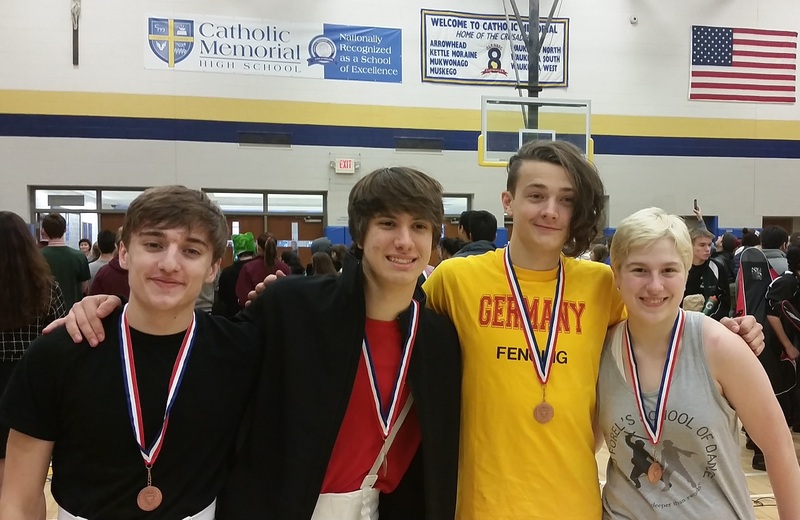 Our Men’s Epee team did especially well with 2 fencers winning Top-8 medals (Andrew Bringle 6th and Remy Price 5th, pictured) and 2 fencers in the Top-16 (Tore Posterli 13, and Elliot Stanke 16, not pictured). This strong performance won them a 2nd place finish in the Men’s Epee event.